Look for the full essay with additional photos in the September 2014 issue of Anthropology Now. 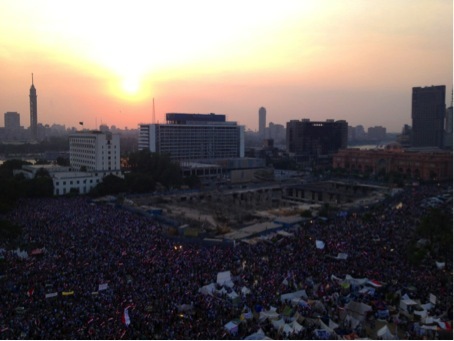 Evening, Midan, Tahrir, July 3, 2013. Photo Copyright: Maria Frederika Malmström. In this new project, part of an extensive study about materiality, affect and transformative politics in Egypt, I explore the absence of sound in the floating landscape of Egypt. 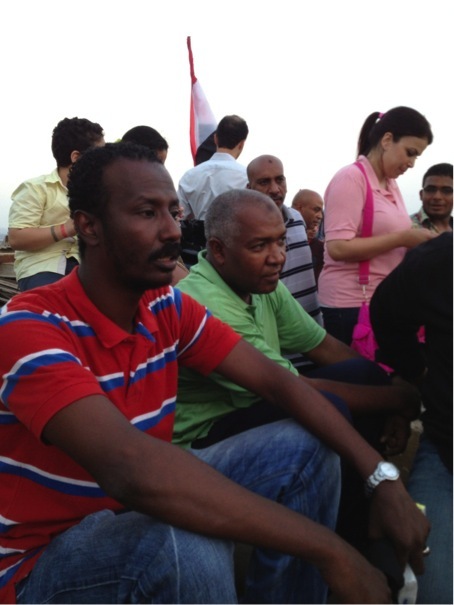 Scholars have discussed the role of sound in relation to the uprisings in North Africa, but I will focus on its notable absence during my fieldwork in Cairo after the ousting of President Mohamed Morsi in July 2013. 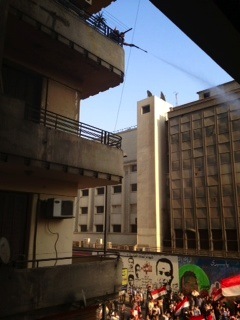 Afternoon (water to the people against dehydration), Mohamed Mahmoud Street near Tahrir Square, July, 3, 2013. Photo Copyright: Maria Frederika Malmström. 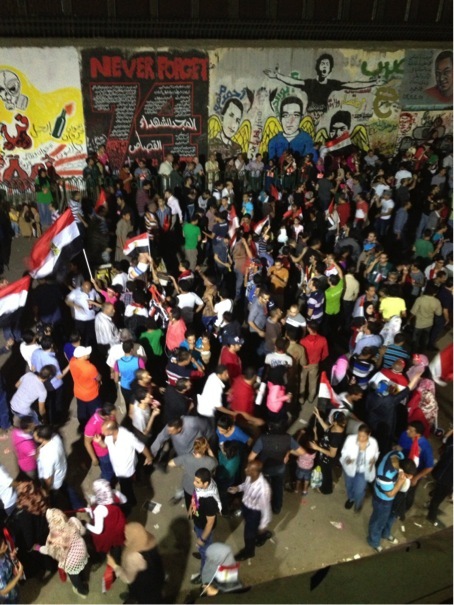 Will President Morsi leave by himself or will he be overthrown? Waiting, July 3, 2013. Photo Copyright: Maria Frederika Malmström. Here I focus on how Cairene women and men from different generations, most often well-educated and with different orientations in relation to Islam, understand and respond to the unfolding dynamic processes in Egypt in the aftermath of the 2011 uprisings as well as today’s instabilities. They are mostly poets, writers, journalists, actors and dancers with various (most often unstable) incomes, often working at something other than their vocations to be able to survive. These Cairene women and men are, in their own view, critical, left-oriented and politically aware, sometimes referring to themselves as “cultural people/intellectuals.” By focusing on the body, the senses and public affect, I reflect on the role of immediate and experience-based forces in transitional Egypt, exploring what Brian Massumi labels ‘the autonomy of affect’, and what I call affective politics. I want to investigate how these forces impact the sense of belonging and desire for comfort in times of chaos and political instability. How is the body involved? How are people able to grasp those inner things? Is it possible? And finally, how does politics feel? Endless waiting, Mohamed Mahmoud Street near Tahrir Square, July 3, 2013. Photo Copyright: Maria Frederika Malmström. Studying affective politics materialized as emotions might be considered a bit marginal, especially in relation to understanding politics on the macro-level and radical changes in the geo-political map. I believe that understanding politics must include the materiality of affects, tangible manifestations of emotions such as fear and passion. My goal is to further understanding of human actions in ways that are not mediated by language. 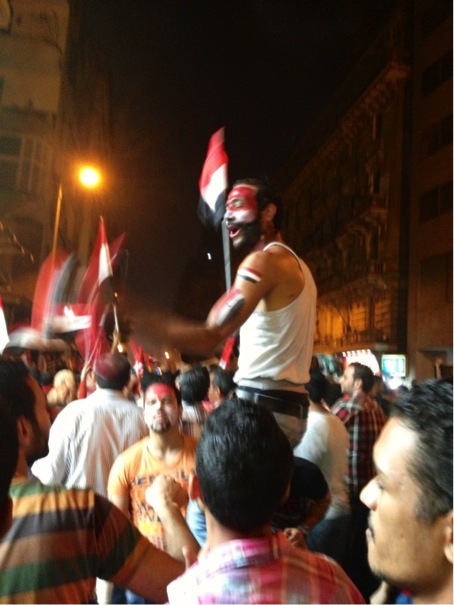 ‘Waithood’, Mohamed Mahmoud Street near Tahrir Square, July, 3, 2013. Photo Copyright: Maria Frederika Malmström. 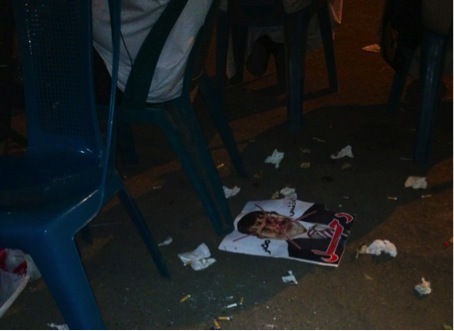 Minutes after the Egyptian military announced the end of Mohamed Morsi’s rule on TV, July 3, 2013. Photo Copyright: Maria Frederika Malmström. 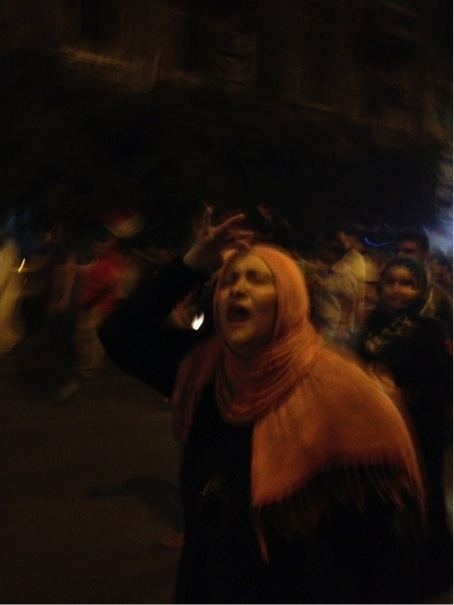 Strong emotions in central Cairo just after President Morsi was overthrown, July 3, 2013. Photo Copyright: Maria Frederika Malmström. 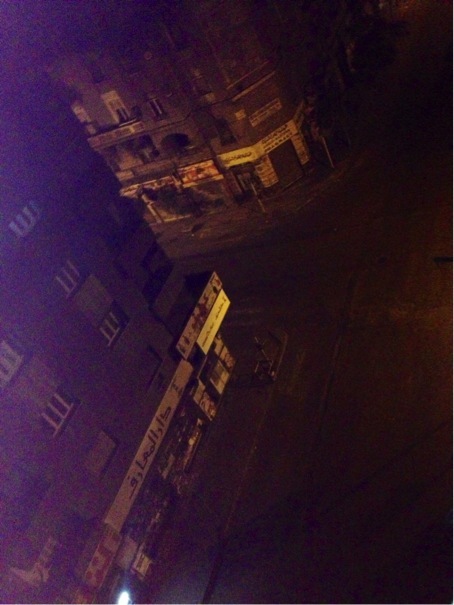 Intense, downtown Cairo during the night, July 3, 2013. Photo Copyright: Maria Frederika Malmström. 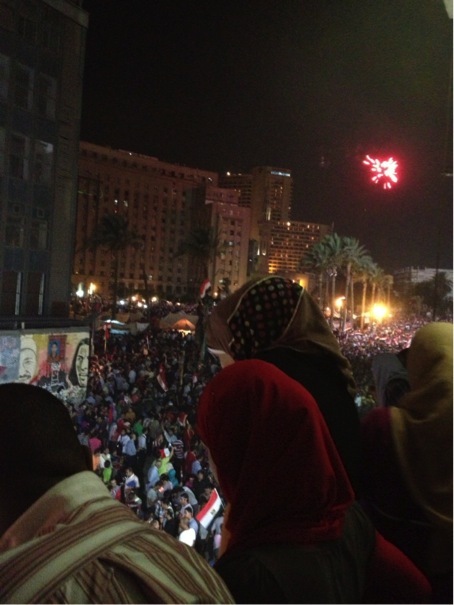 Festivity after the ousting of President Morsi close to Midan Tahrir, July 3, 2013. Photo Copyright: Maria Frederika Malmström. 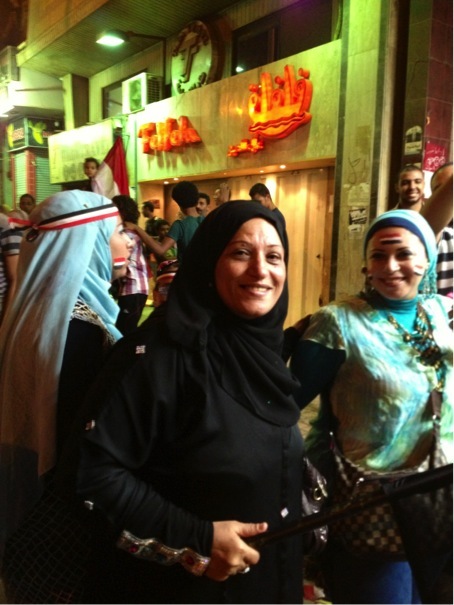 Coffee House on Central streets of Cairo after the ousting of President Morsi, July 3, 2013. Photo Copyright: Maria Frederika Malmström. 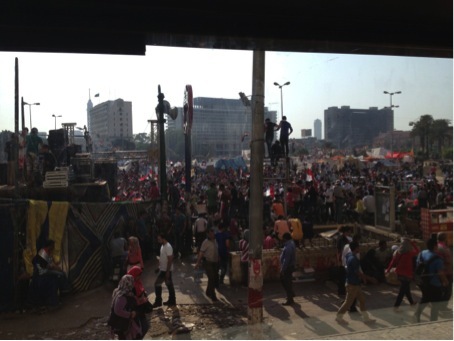 The day after, Midan Tahrir, July 4, 2013. Photo Copyright: Maria Frederika Malmström. 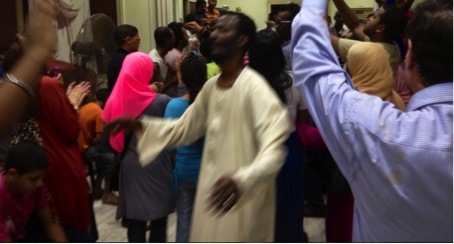 Party for new Egypt, Cairo, July 4, 2013. Photo Copyright: Maria Frederika Malmström. 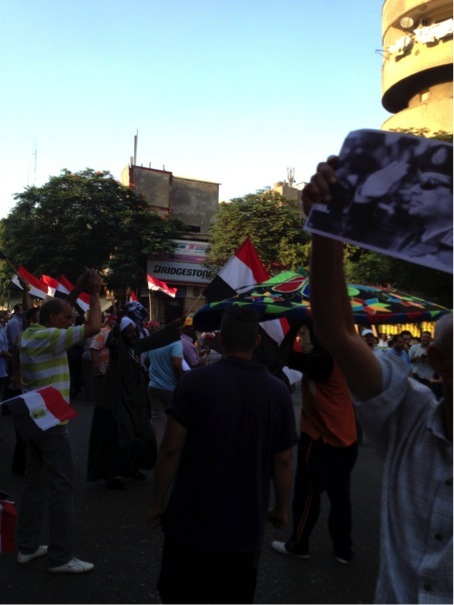 Anti-Morsi protest, Zeyda Zeinab, Cairo, July, 7, 2013. Photo Copyright: Maria Frederika Malmström. 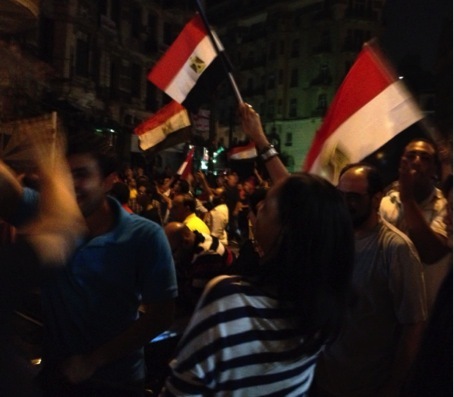 “Egypt had a revolution, not a coup”, Cairo, July 7, 2013. Photo Copyright: Maria Frederika Malmström. 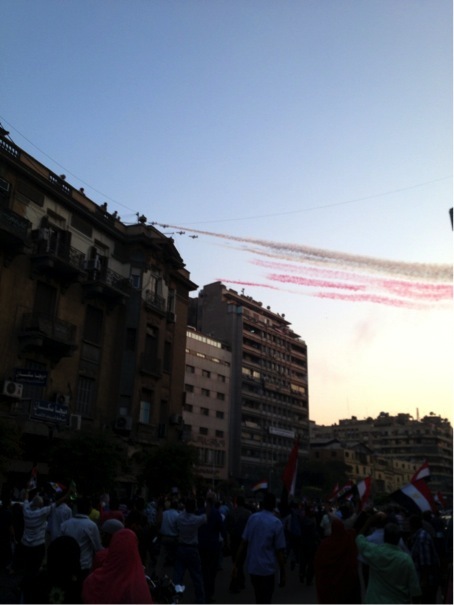 Military performance during anti-Morsi demonstration, Cairo, July 7, 2013. Photo Copyright: Maria Frederika Malmström. 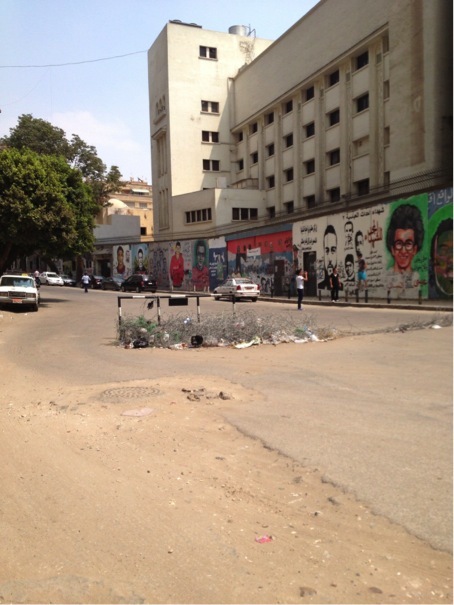 Empty Streets – Mohamed Mahmoud Street, Cairo, August 13, 2013. Photo Copyright: Maria Frederika Malmström. 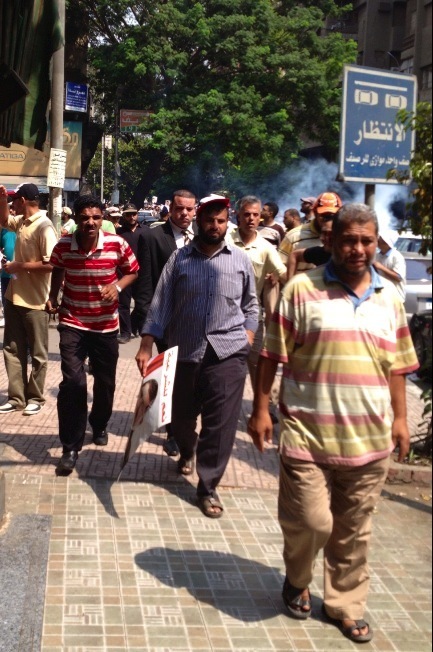 Military uses teargas against Pro-Morsi demonstration, Downtown Cairo, August 13, 2013. Photo Copyright: Maria Frederika Malmström. Late evening after the dispersal of Rabaa Al-Adaweya and Al-Nahda sit-ins, Empty central city, Cairo, August 14, 2013. Photo Copyright: Maria Frederika Malmström. 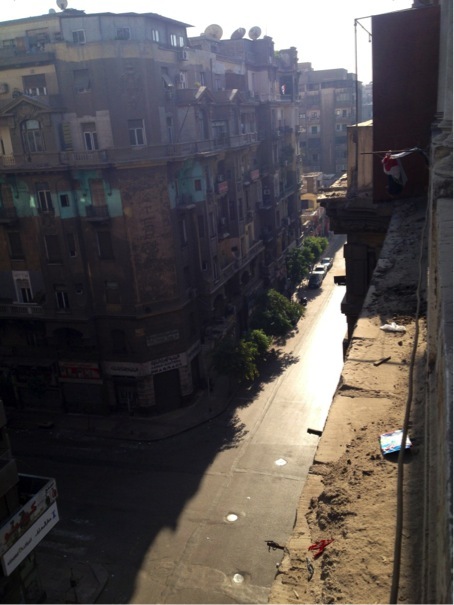 ‘Ghost City’ – Central Cairo, August 16, 2013. Photo Copyright: Maria Frederika Malmström. 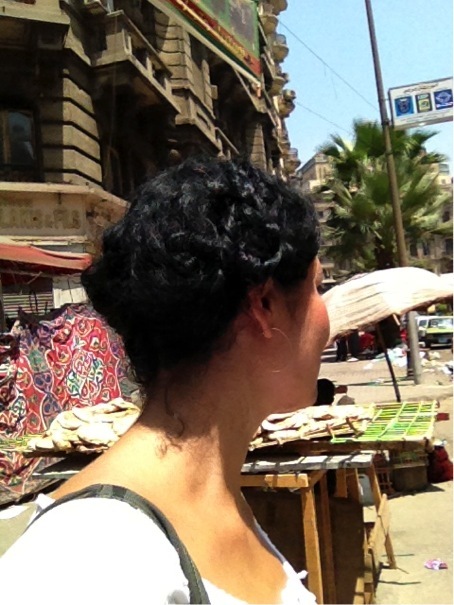 ‘Hunting’ bread, Downtown Cairo, August 17, 2013. Photo Copyright: Maria Frederika Malmström. Maria Frederika Malmström holds a doctorate in Social Anthropology from the School of Global Studies, Social Anthropology, University of Gothenburg. She is a Senior Researcher for North Africa in the Conflict, Security and Democratic Transformation cluster at the Nordic Africa Institute in Uppsala, Sweden. She is also a visiting scholar at New York University, working from 2010-2012 in the Center for the Study of Gender and Sexuality and from 2012 in Performance Studies at the Tisch School of the Arts. Malmström worked previously as a Senior Lecturer at the Department of School of Global Studies at University of Gothenburg, Sweden, and at the Department of Cultural Studies, University West, Sweden. Additionally, she is a gender consultant for UNFPA and UNICEF and a member of several academic and policy networks. 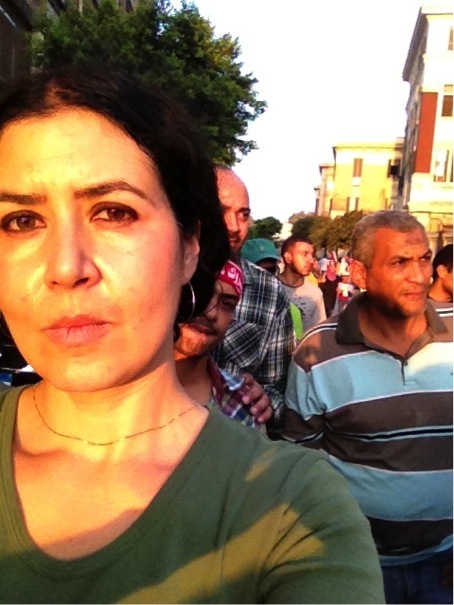 Her fieldwork experiences in Cairo, ongoing for more than a decade, have allowed her to experience both continuity and change during these years. 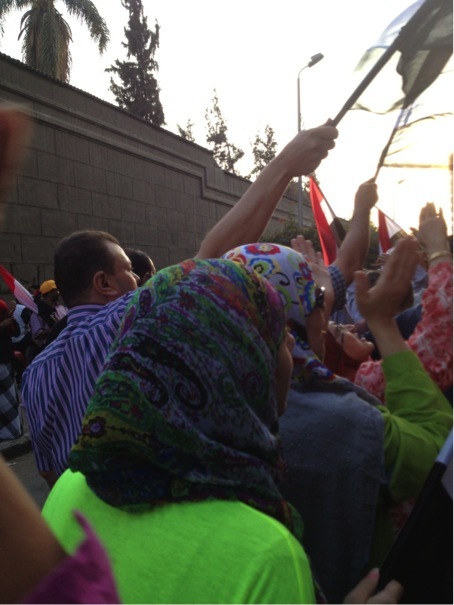 This entry was posted in Feature Preview, Selected Print and tagged Anthropology, Egypt, Egypt Revolution, Middle East, photography, politics.